3. THE TREASURY INDEX - the first entries are available for searching. Have a go, you may find that you too, have a relative who called The Thames home! Just to let you know about one new resource, and the update of an old one at The Treasury, Thames. 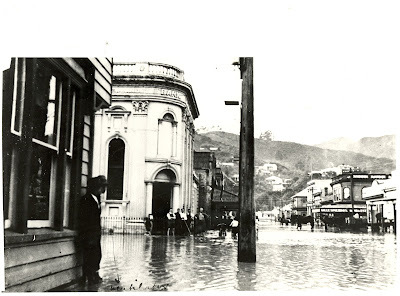 The Auckland Star Obituary Collection for the Thames area 1870s to 1945 is on the shelves. Although not quite to plan, it covers the obituary notices that appeared for residents/past residents of The Thames. Gained from paperspast, it may help you find some relatives that you have missed in the searches. It is indexed and has over 6500 entries, catalogued under 'obituary subject' and 'mention in obituary.' Amazing how much information was given, especially the ships that people arrived on. The Pre 1930 Businesses of Thames have been revised, with new information added. The aim with this collection is to identify where possible: Business name, owner/s, location, start and finish dates. Anyone with information on these businesses is encouraged to add information to the file. A massive scrapbook, that hopefully helps researchers with their first step following a business or family member. This is indexed, and at present has over 1500 entries. The Treasury Indexing group were hard at work last week when I visited - so there is an increasing number of resources indexed, to make it easier for the researchers of the Thames Valley/Coromandel Peninsula area. 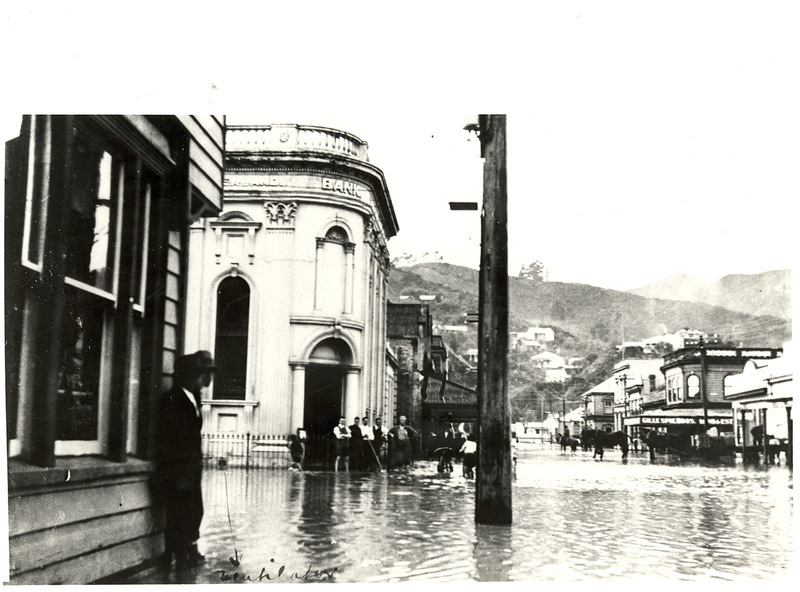 Owning a business in Brown Street was always a challenge in the early flood years. Amongst the many businesses that prospered on the early goldfields, were boarding-houses. 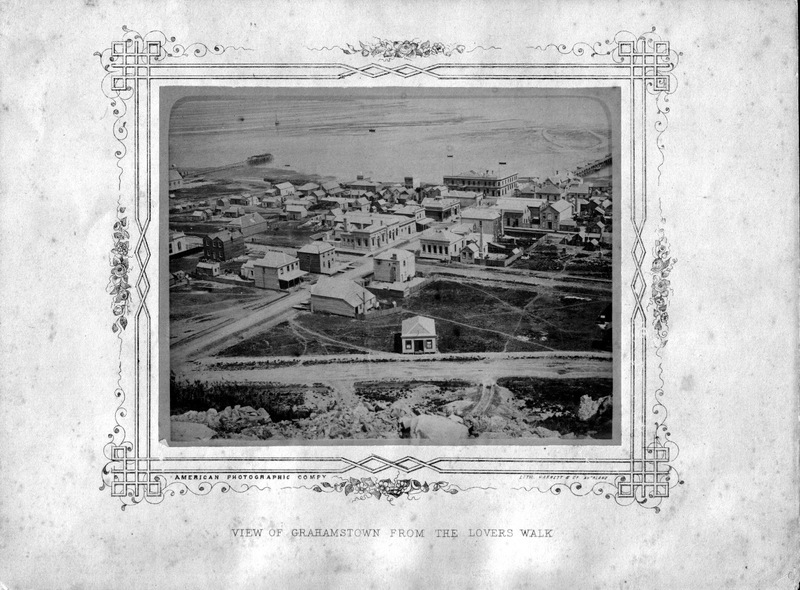 Although the hundred plus hotels had accommodation, more homely board could be found at the numerous businesses around the townships of Shortland and Grahamstown. Shortland: John ANDREWS (Mary Street); Elizabeth CASH, William CHAMPION, William FARRANT, Mrs LEWIS' TEMPERANCE RESTAURANT, Litchfield & OSBORNES' SHORTLAND RESTAURANT, Henry LUSTY and Thomas SUMMERS OYSTER ROOMS (Pollen Street); Mrs MOUNCES' WEST COAST BOARDING-HOUSE (Willoughby Street); Thomas POWELLS' Dining Rooms (Grey Street). 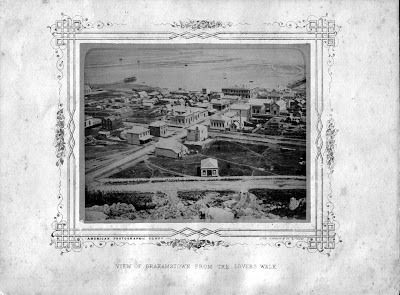 Grahamstown: Robert COMER (Burke Street); Richard DODD, Thomas KEVEN (Beach); John FERGUSON (Davy Street); HAZELL & TURNER's CAFE de PARIS, Andrew OTTO, Charles SMITH (Brown Street); C PELHAM (Williamson Street). Life in the boardinghouse was never dull. Papers of the day report death, theft and other events. What about the day one man had the nerve to "act as a boarder" and ate all the breakfasts! 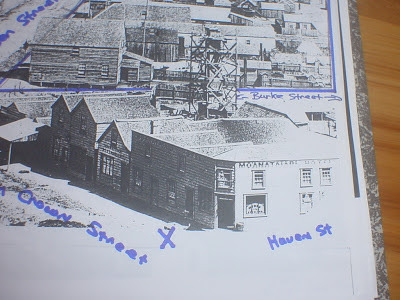 The Moanataiari Restaurant located south of the Moanataiari Hotel was a busy part of town in the goldfields day, and no doubt attracted a large number of miners and hungry travellers who had just arrived via the Wharf just down the road. Previously mentioned, has been the importance of the neighbourhood stores that were aound the hills and flat area of Thames. Shops like those at Fenton Street, Franklyn Street, Parawai and Tararu. 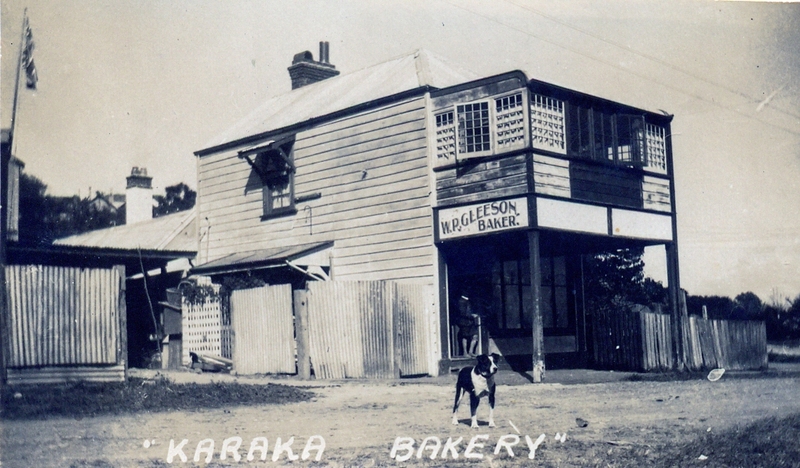 Early papers have reports of several early shops and bakeries up Karaka Road. People such as ROLLERSON's had a bakery, Mrs LUDLOW ran the STAR Store. In the 1870s, Mrs CAMPBELL had a grocery opposite the Claremont Hotel in Karaka Road. In Karaka Road, just east of the Sandes Street intersect, was the Karaka Bakery, known also by other names. Owned and operated for many years by the GLEESON family. Several of the oral history recordings at The Treasury, speak of the importance of this shop and the high level of service they received. A wide variety of bread was available and delivered fresh to the homes around Thames; along with general grocery items. The shop changed hands in later years and closed 1960s/70s. Over the years the building under went some alterations, but still stands today. It seems at present that Thames has never seen so many fireworks - shops popped up selling tempting products; that have been set alight both day and night. Perhaps nothing has changed after all - except the restrictions. A review of the early papers gives countless reports of firework celebrations. They were used all year round, and Thamesites needed little excuse to have a firework display. They were used at the wharf to send off boats, along with at random celebrations/meetings and Anniversaries. Along with being let off on the 5th of November, each year. Over the years there were countless accidents from fireworks and the bonfires that littered the hills around the town. In 1880, the builders of several bonfires couldn't wait and lit theirs on the 4th November - leading many to think there was a terrible fire up at Upper Albert Street. Later in 1919 Christchurch City Council were lobbying to have fireworks subject to the same restrictions as firearms - due to their dangerous nature. 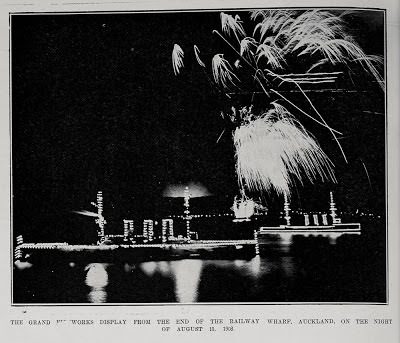 THE GRAND FIREWORKS DISPLAY FROM THE END OF THE RAILWAY WHARF, AUCKLAND, ON THE NIGHT OF AUGUST 10, 1908.